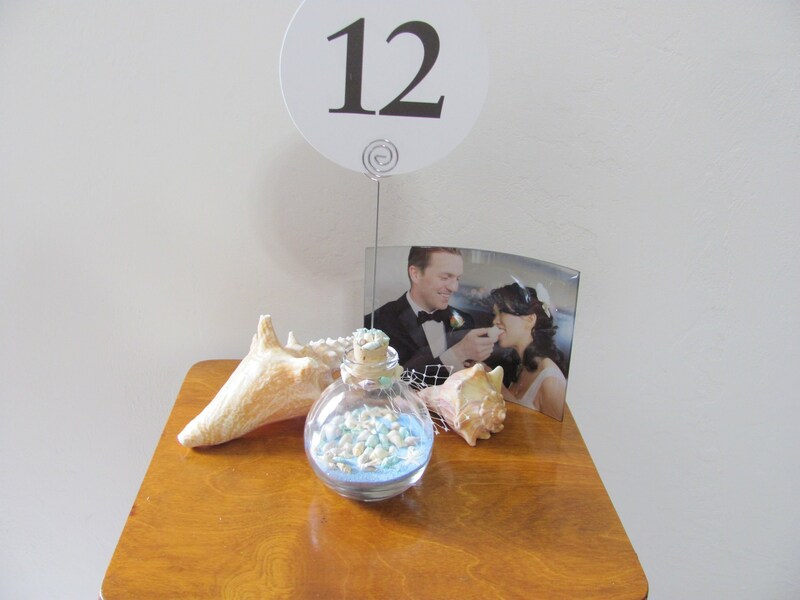 Beach wedding or event reception table number holders. 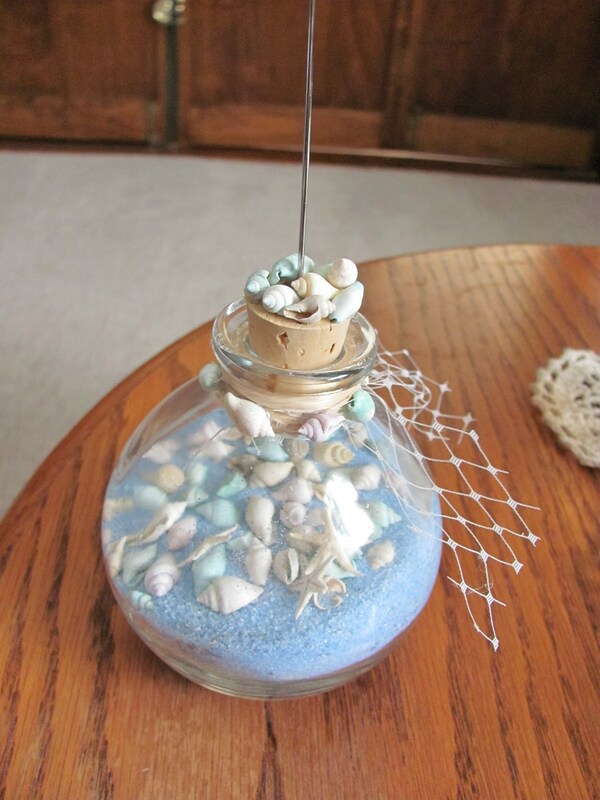 Each round glass bottle is filled with ocean blue sand and tiny shells and then sealed with a cork the outside of the bottle is decorated with tiny shells, and netting. 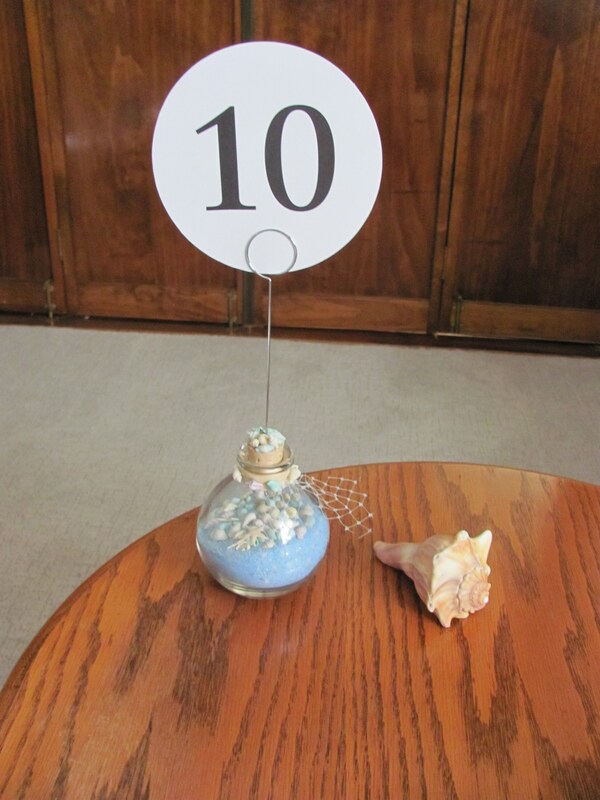 The metal card holder can be used for table numbers, menus, photos, signs etc. 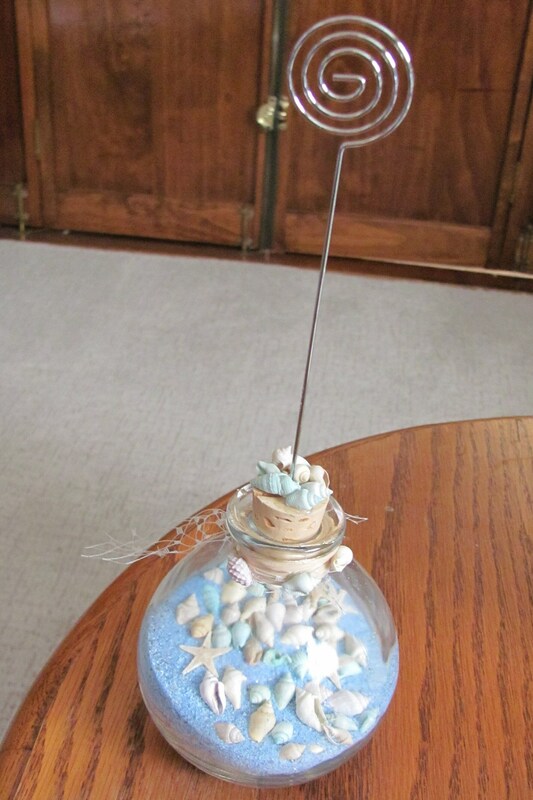 The glass bottle measurements: Width: 3.4"
Height: 4.4" without the metal holder. After the event your VIP's can take them home and put a favorite photo in them for display and a remembrance of your special day. 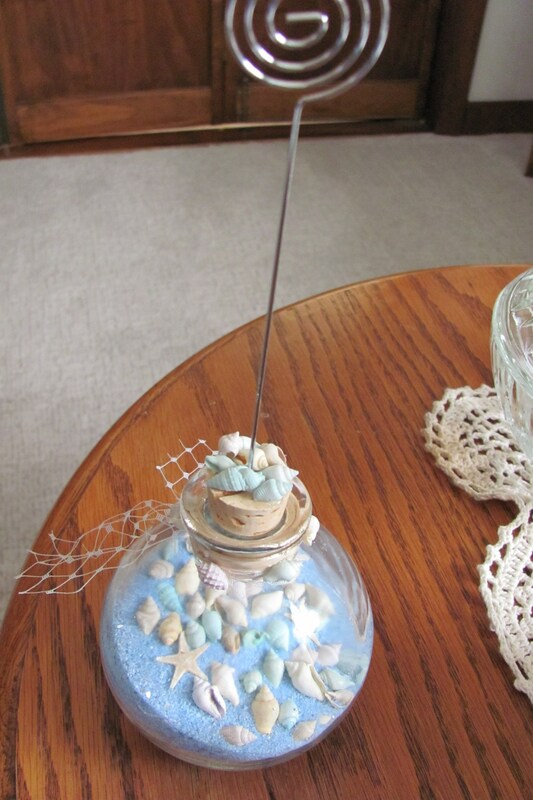 Please note that each holder made is unique no two will be decorated exactly alike.